TONY PLATT is a Distinguished Affiliated Scholar at the Center for the Study of Law & Society, University of California, Berkeley. 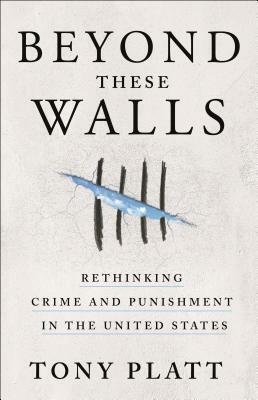 The author of numerous books dealing with issues of criminal justice, race, inequality, and social justice in American history, including Beyond These Walls: Rethinking Crime and Punishment in the United States, he previously taught at the University of Chicago, Berkeley, and California state universities. Platt’s experience as a political activist and public intellectual informs his research and publications. He lives in Berkeley, CA. "In a brilliant resumption of his earlier engagement with institutions of state violence, Tony Platt offers us expansive and historically-rich ways of understanding policing and incarceration that also acknowledge and incorporate insights associated with feminism, queer movements, labor history, and anti-racism in their broadest formulations. He urges us to recognize why most efforts to reform these institutions have inevitably strengthened them and have rendered their repressive dimensions even more permanent." "For anyone seeking to understand this nation’s staggeringly inhumane apparatus of policing, caging, and control, Tony Platt’s Beyond These Walls is a sobering must read. Platt remains one of our country’s most important voices on crime and punishment. His new book is vital as we reckon with the depth of our current carceral crisis and begin building a very different and more just future."